Kent Morrison practices in all areas of maritime law, general litigation and insurance coverage, handling cases involving tort, cargo disputes, collisions, maritime personal injury, property damage, indemnity and insurance coverage disputes. He represents maritime employers, vessel owners, longshore employers, energy companies, dock and terminal owners and their underwriters in disputes concerning commercial matters, personal injuries, collisions, allisions, damage caused by wake and wave wash, groundings, salvage and cargo claims. He also provides representation with respect to coverage issues involving a broad range of energy, marine, general liability, excess and umbrella insurance policies. Kent further assists marine and energy companies with their corporate structure, regulatory issues and internal and external contractual relationships. 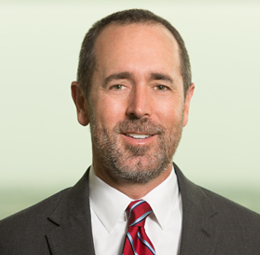 Kent has represented his clients both locally and nationally in state and federal courts in all aspects of litigation. He has considerable trial experience and has handled numerous cases through private mediation and court sponsored settlement conferences. 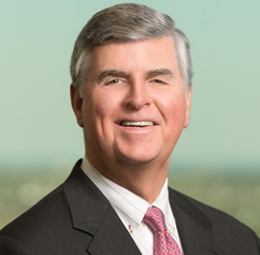 Kent currently serves as the firm's Regional Practice Coordinator for the admiralty practice group. Representation of start-up LNG company with regard to land acquisition, regulatory issues, local and state port authority issues and commercial litigation. Long term representation of privately held offshore service vessel company and its affiliated holdings including ship building facilities through a range of legal issues. Counsels south Louisiana offshore construction companies on contracts, leases and insurance and liability issues. Representation of vessel owner and its P&I Club in connection with approximately 1,800 property, business interruption and personal injury claims arising from a ship allision with a shopping mall overlooking the Mississippi River. Representation of domestic and international insurer regarding coverage denials in connection with marina, P&I, hull, tug, energy and CGL policies. Attendance at U.S. Coast Guard investigations and hearings for numerous allisions and collisions involving offshore service vessels, crewboats and towboats and representation of vessel owners in subsequent litigation. Drafting and reviewing insurance policy forms for the marine and energy industry. Extensive litigation experience involving personal injuries, exposure and occupational disease, collisions, allisions, pipeline damage, mechanical failures, products liability actions, charter disputes, defense and indemnity obligations, lease disputes, commercial disputes, and other various claims and actions in state and federal courts throughout the United States.